Loungefly is a quality brand known for fun patterns on sturdy faux leather goods like backpacks, purses, and wallets. Loungefly makes several different types of Star Wars backpacks with awesome themed patterns. Earlier we shared some of our favorite Loungefly backpacks in various styles. Here are some of our favorite patterns on the mini style backpack. This fun mini backpack has a black background with a repeating pattern of Darth Vader and roses in a tattoo style. 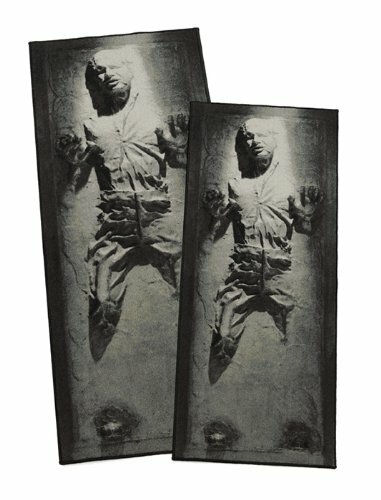 Text banners read "Darth Vader" and "Dark Side". This cute little backpack has a repeating pattern of Star Wars characters in a fun simple cartoon style. You'll find favorites like Lando Calrissian, Boba Fett, C-3PO, a Stormtrooper, a Jawa, Princess Leia, Darth Vader, Han Solo, and others. The repeating Star Wars pattern on this mini backpack looks like stickers stuck all over. A colorful bunch of characters, logos, and phrases are arranged in a random pattern. This cute little Loungefly backpack has a fun repeating pattern of cartoon style Ewoks all over! The characters are wearing different outfits and have a variety of fur colors and facial expressions. So cute, it's perfect for Ewok fans! 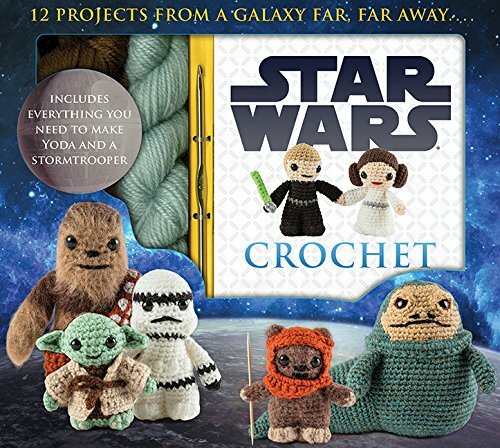 Star Wars Fans, Let's Get Crafty with a Crochet Kit!